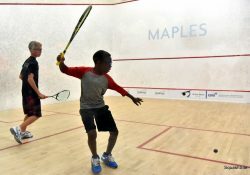 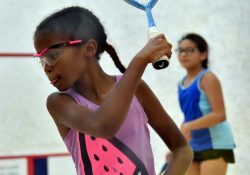 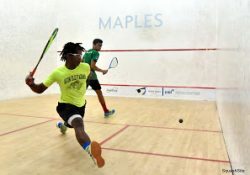 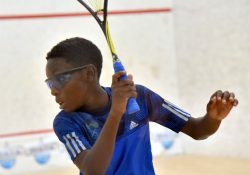 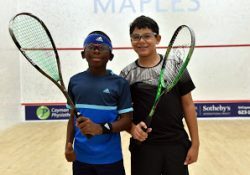 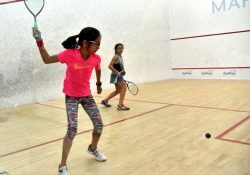 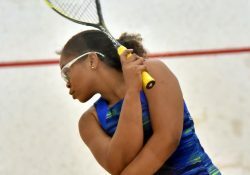 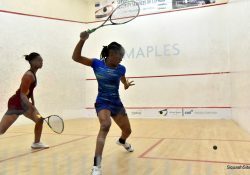 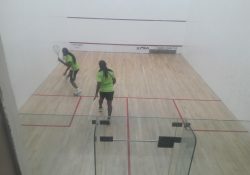 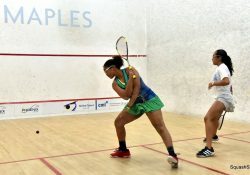 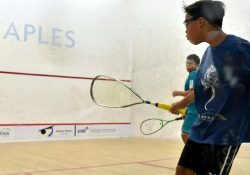 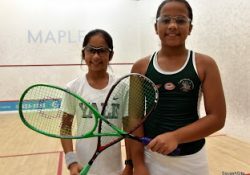 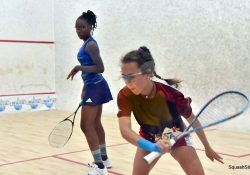 Sumairaa Suleman (in blue) places this backhand with precision against Aboside Cadogan (GUY) on her way to a hard fought 3-0 victory for Barbados in the U-13 division. 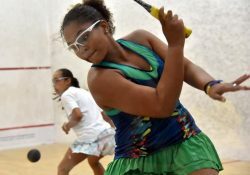 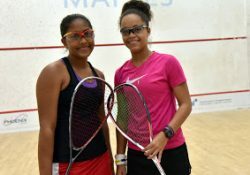 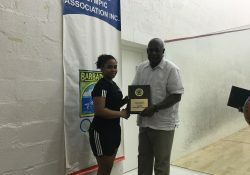 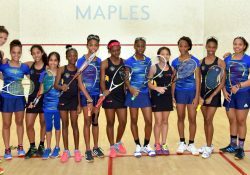 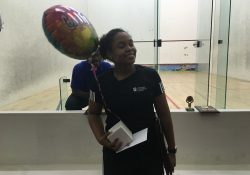 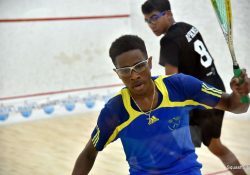 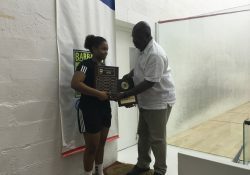 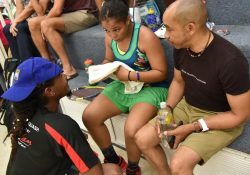 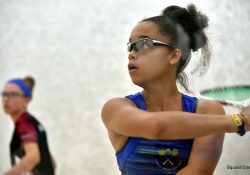 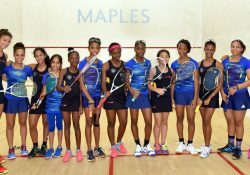 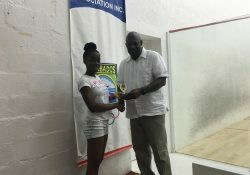 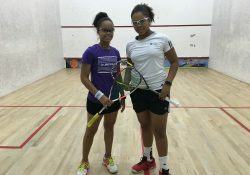 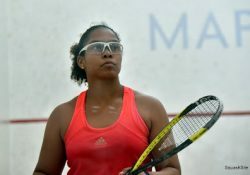 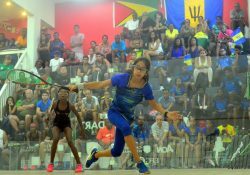 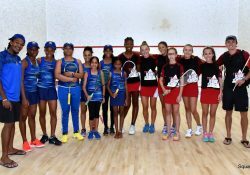 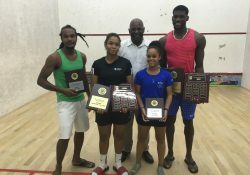 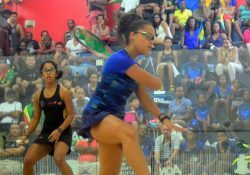 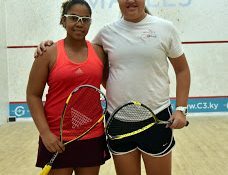 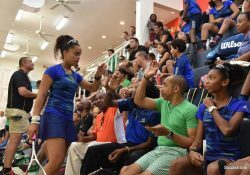 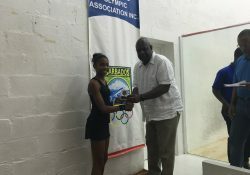 The Barbados girls squash team (in blue) vanquished Guyana 3-2 to claim its 2nd straight team gold medal and 14th in total in 34 years! 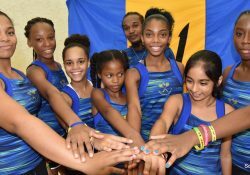 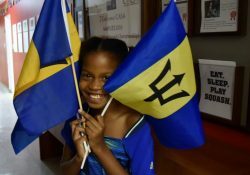 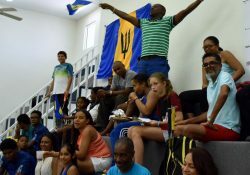 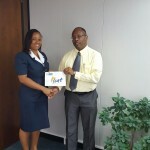 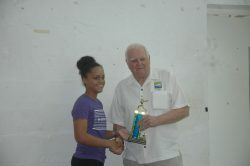 Barbados girls celebrate another win. One more for the gold! 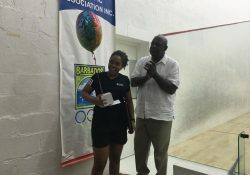 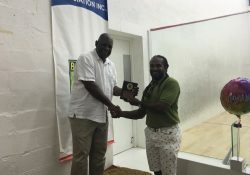 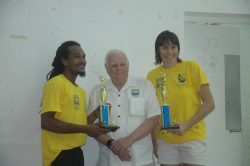 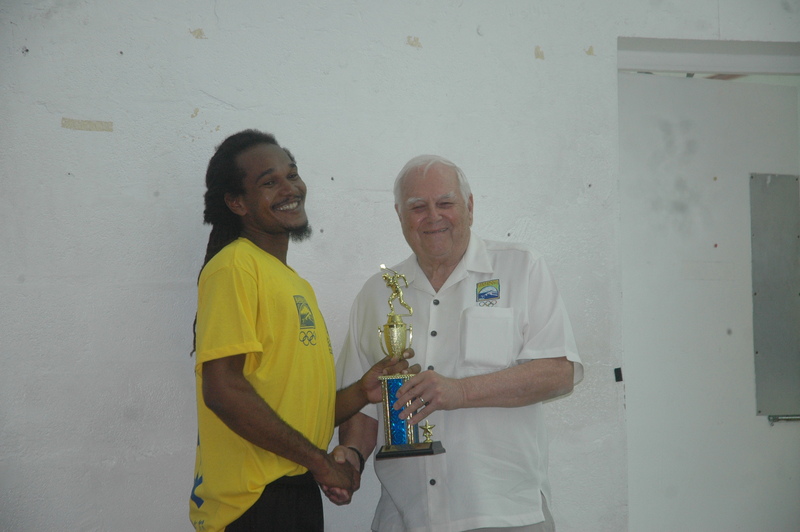 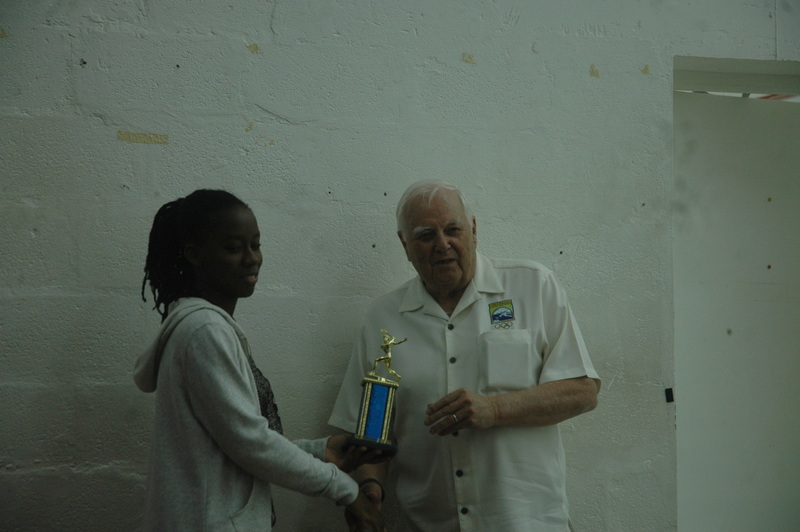 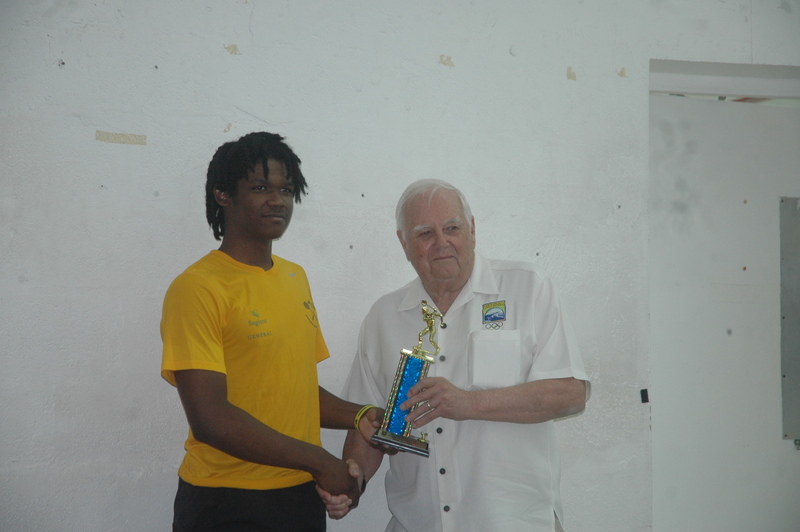 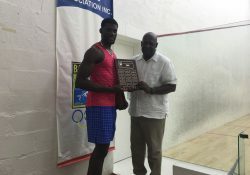 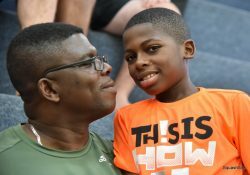 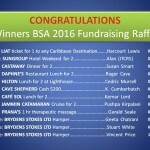 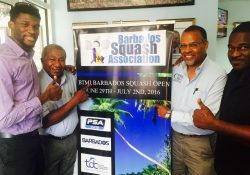 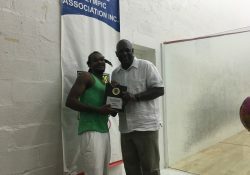 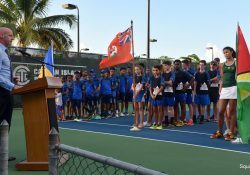 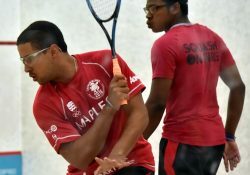 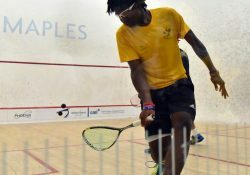 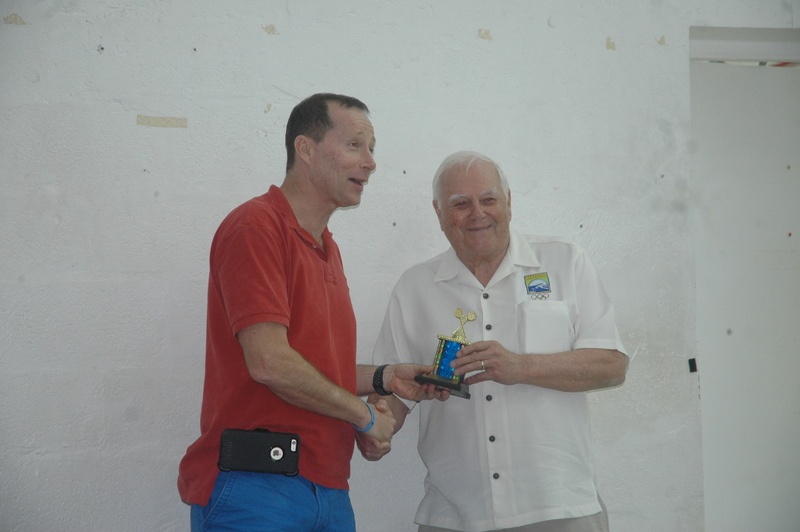 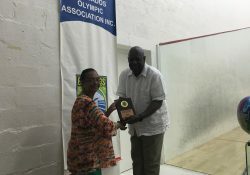 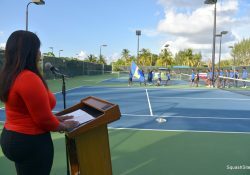 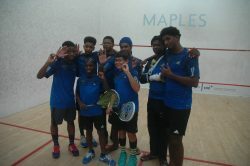 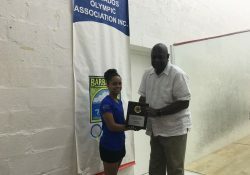 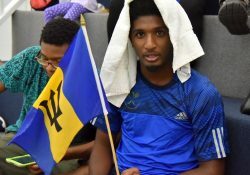 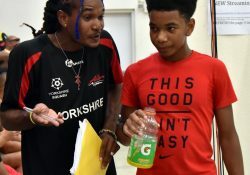 BSA President, Monty Cumberbatch (2nd from left) points to BTMI Barbados Open banner, flanked by National Champion, Shawn Simpson (l), Craig Archer, and Tournament Director, Terry Millar (r). 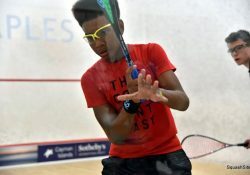 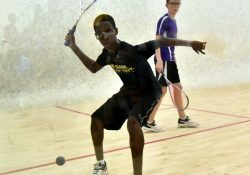 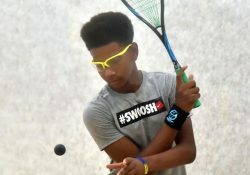 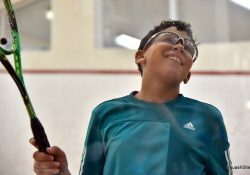 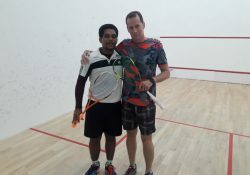 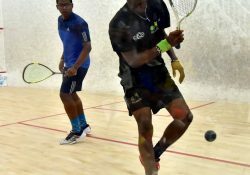 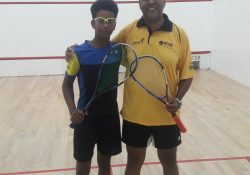 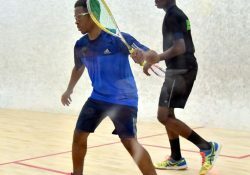 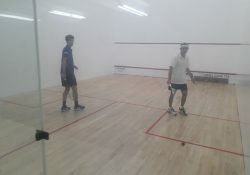 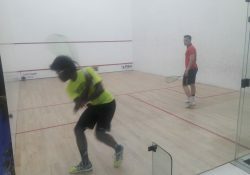 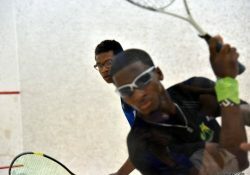 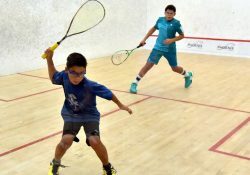 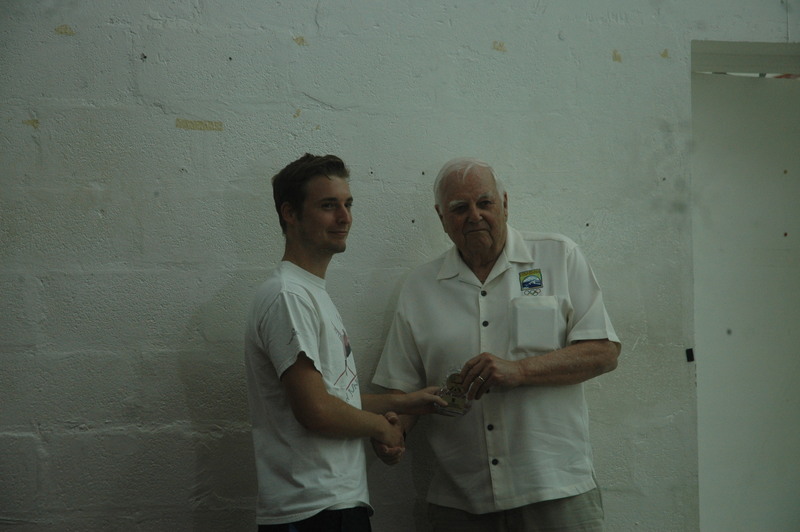 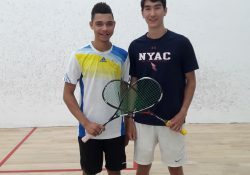 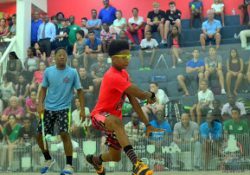 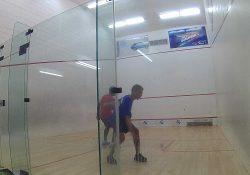 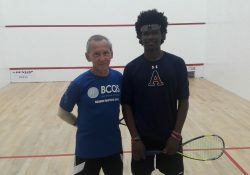 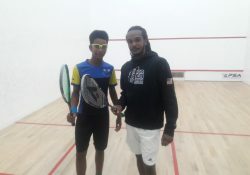 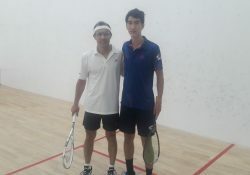 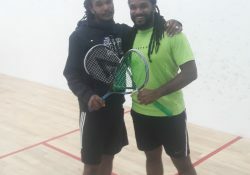 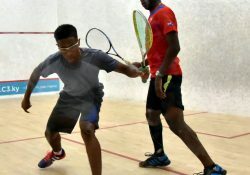 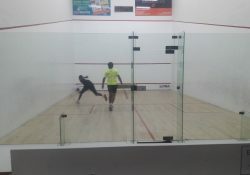 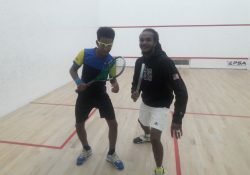 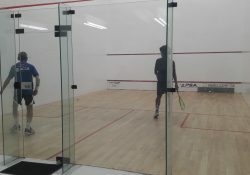 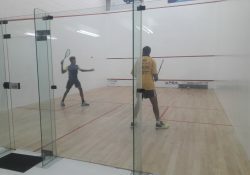 1st Round Qualifying: Calvin McCafferty -USA (right) d. Stewart St. John (BAR) 3-0 (11-9, 11-4, 11-6) – 20 mins. 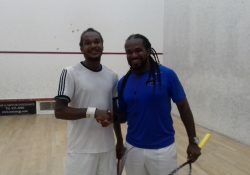 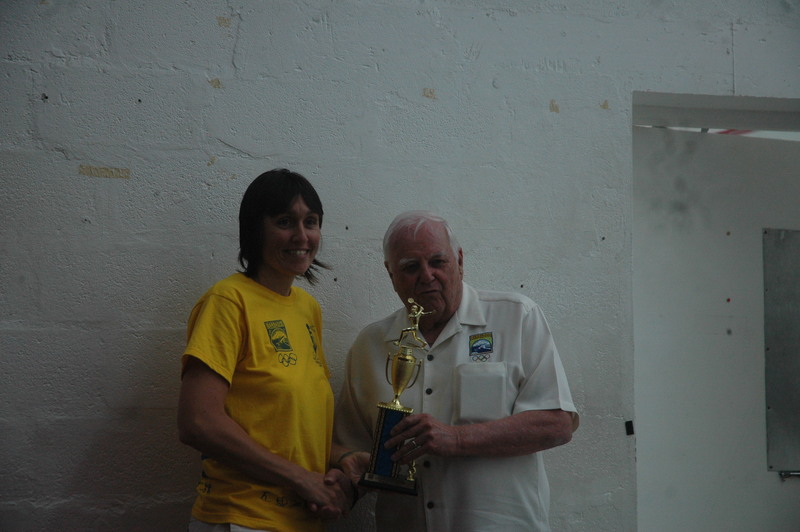 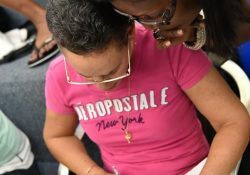 Qualifier Qtr Finals: Jules Snagg (VIN) left defeated. 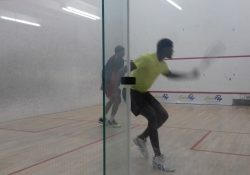 Mark Sealy (3-0) 11-8, 11-7, 11-3 – 21 mins. 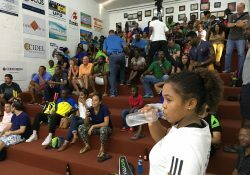 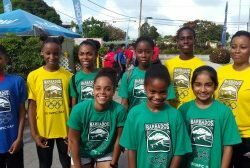 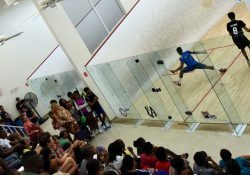 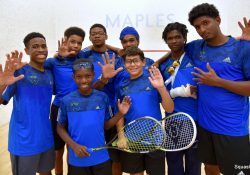 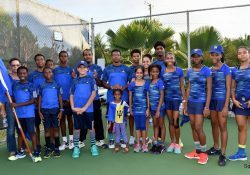 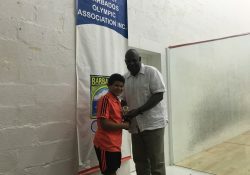 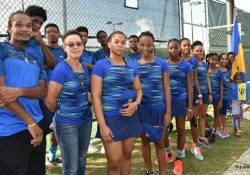 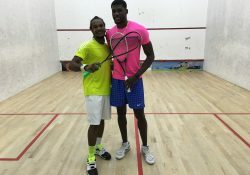 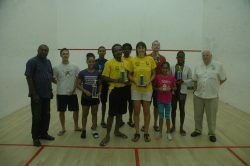 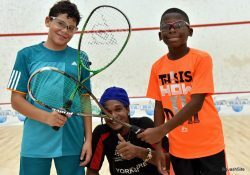 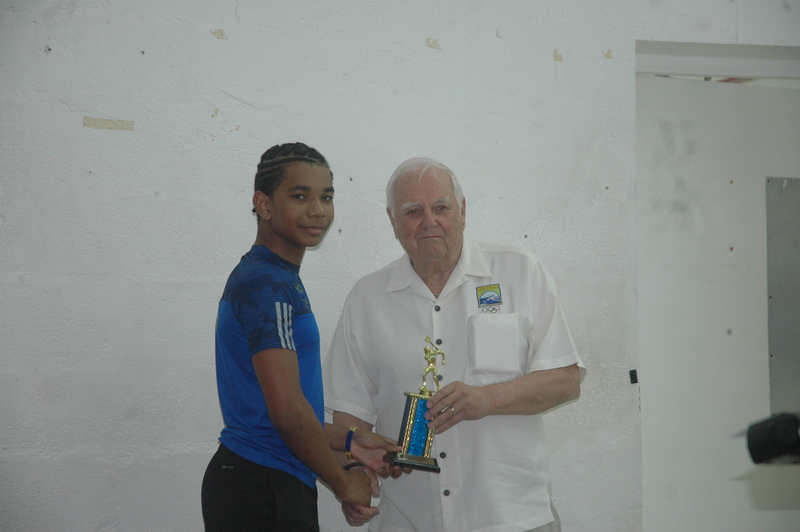 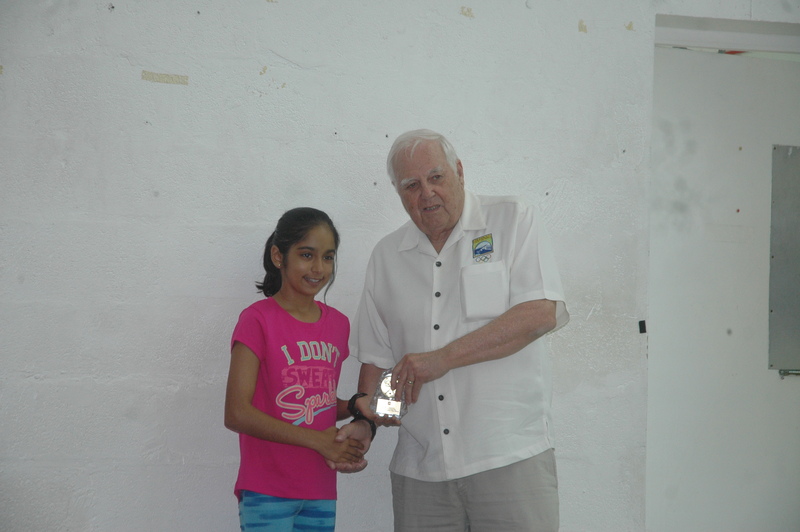 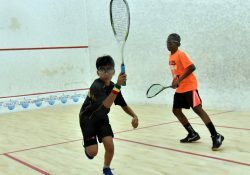 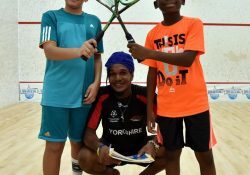 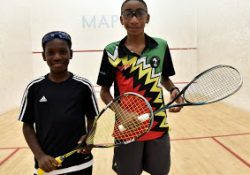 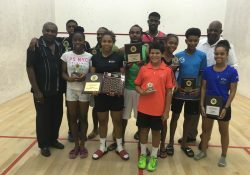 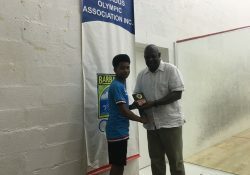 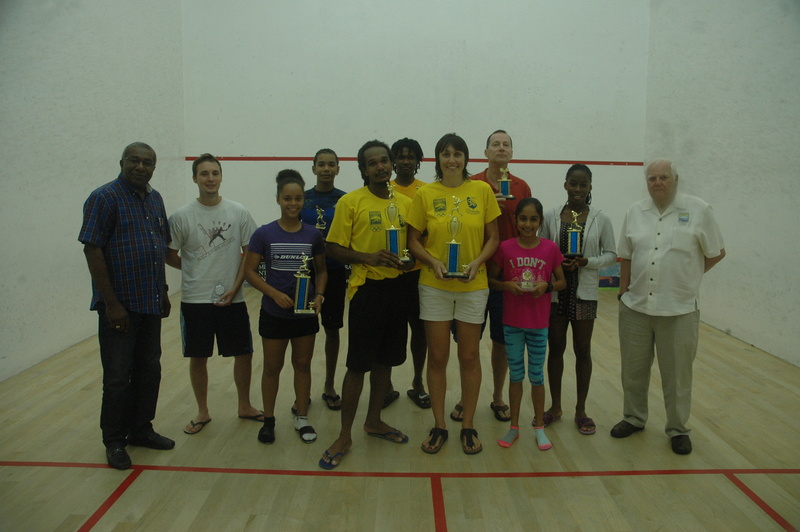 Squash Juniors who participated in the Olympic Day fun walk/Run hosted by Barbados Olympic Association on June 18th 2016. 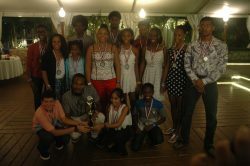 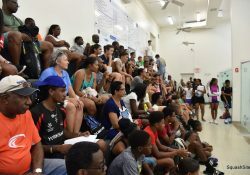 From Left backrow, Kemar, Jodi, Chelsie, Jada, Ryan, parent Alison. 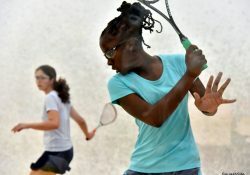 Front row left, Amanda, Rebekah, Sumaira.